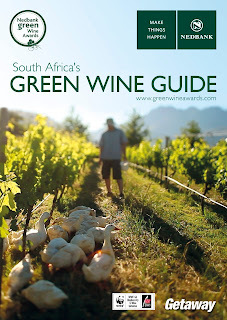 Some of the highlights of judging at this year's competition include seeing how well the organic wines performed (see my previous post organic trend ), the increase in the number of entries (190) and the introduction of the WWF Biodiversity and Wine Initiative wine category. Reyneke Wines scooped top honours (again) in the organic category, with its Reyneke Reserve Red 2009 winning awards for Best Wine Overall and Best Red. Paul Cluver Riesling Noble Late Harvest 2012 won Best Wine Overall in the Biodiversity and Wine Initiative Category.